This year, playwright Lynn Nottage brought Reading to national attention via her Pulitzer-winning, Tony-nominated Broadway play Sweat, which uses the rust-belt city as a window into the decades-long collapse of the middle class. In Nottage’s work, we see the struggles of residents who have lost their factory jobs and are trying to come to terms with the unraveling of the social fabric in the city’s poorest areas. While these challenges persist, another story is happening in Reading, one that is often overlooked. In the Centre Park Historic District, a mostly residential neighborhood in the northwestern part of the city, a quiet revitalization is underway. 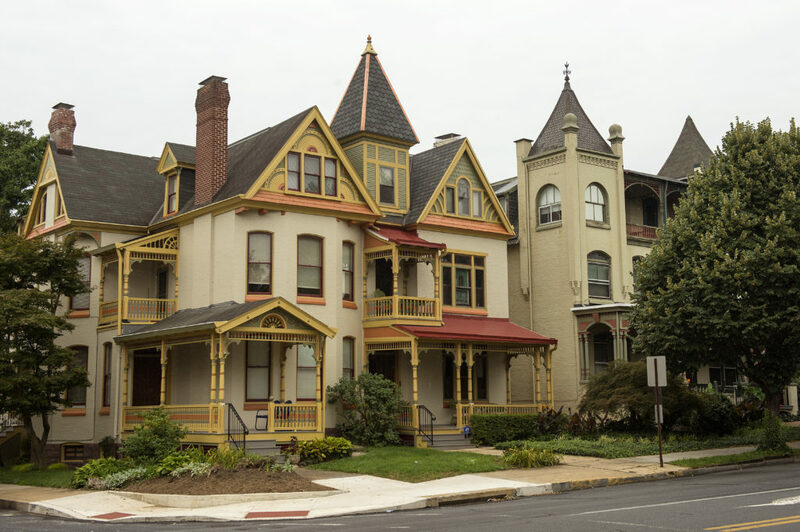 Located along two main arteries — Centre Avenue and North Fifth Street — Centre Park became Reading’s first suburb in the 1870s, when wealthy textile magnates and other industrialists began building their mansions there, many of which still stand. As the century turned, a building boom added homes for professionals, industrial workers and tradespeople. These houses, along with historic churches, have also endured. 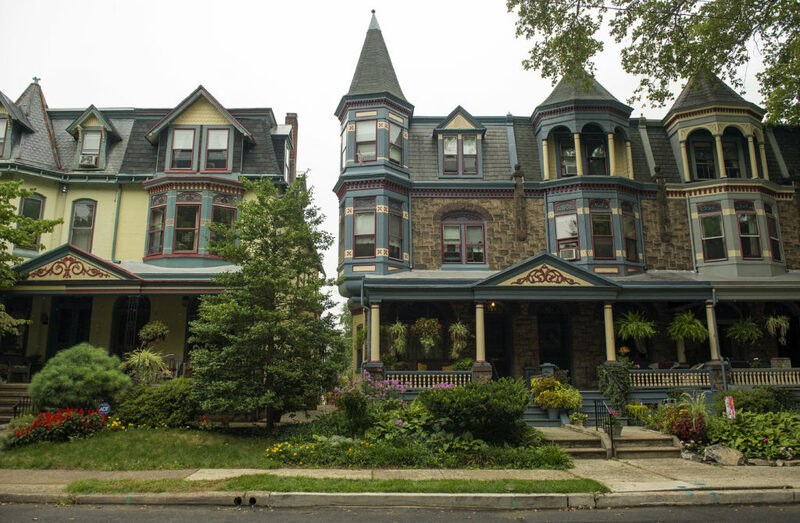 Walking through the neighborhood is a lesson in the architectural history of Reading from 1870 to 1920: Styles include Late Victorian, Queen Anne, Reading German, Gothic Revival, Georgian Revival, Victorian Romanesque and Late Federal. Large homes on North Fifth St. Many of these homes have been lovingly restored by their owners. The interiors boast original woodwork, stained glass windows, ornamental porches and charming balconies. The streetscape is elegant, recalling an earlier, more gracious time. 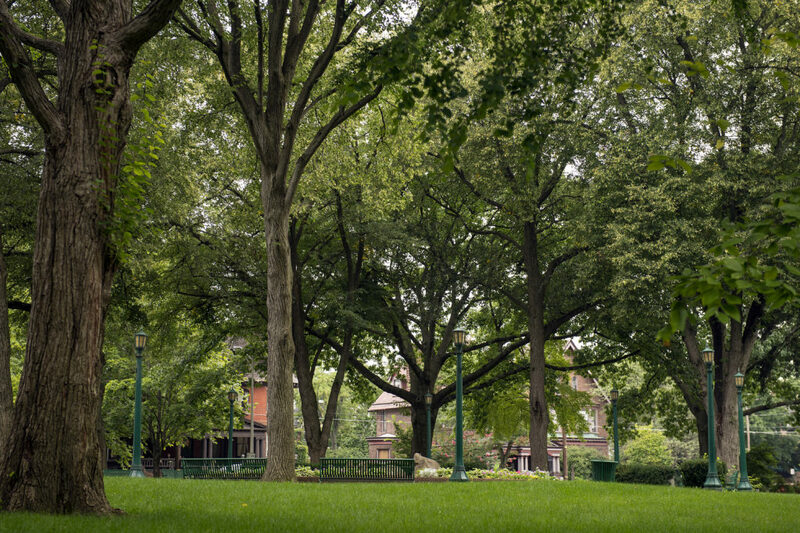 Along Centre Avenue, which veers off at an angle from its intersection with Fifth Street, sits the tree-shaded Centre Park, which serves as a setting for various neighborhood events, including an annual Easter Egg Hunt, Fourth of July Block Party and Halloween celebration. Every summer, the Reading Pride Celebration is held there. While the district doesn’t have a commercial area, residents are within easy walking distance of restaurants and other businesses, and a longer walk, quick drive or short bike ride to downtown, with its eateries, art scene and entertainment offerings. O. Chris Miller, a realtor for Re/Max of Reading, has lived in one of the historic houses on North Fifth Street for 36 years. He says the inventory in the Centre Park district is currently low. Not only are the houses diverse in style, but they vary in size and price, with the mansions spread along Centre and Fifth, the medium-sized singles and duplexes filling the cross streets like Oley and Douglass, and the row houses clustered on the half streets like Rose and Madison. While some of the recent arrivals are from Berks County, many are from outside the area. So why Reading? And why Centre Park in particular? For one thing, where else can you get a 3,500 to 4,500-square foot house with six or seven bedrooms for $145,000 to $175,000? Or a mansion for $250,000? While prices vary according to size and condition, there are many bargains to be had and most houses have retained their original structural features, no matter how much rehabilitative work has been done. 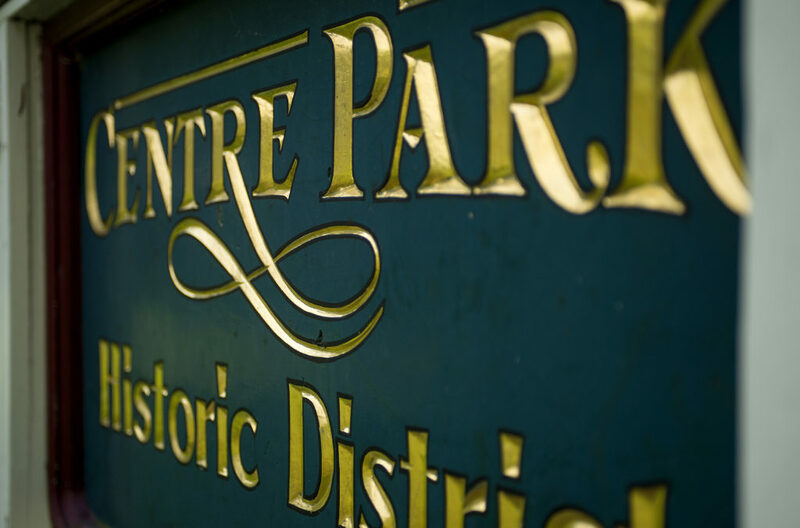 A big part of the reason Centre Park has thrived is its nonprofit neighborhood organization, the Centre Park Historic District Inc. (CPHD). It was established in October 1982 “to promote architectural preservation and enhance neighborhood living,” according to its mission statement. 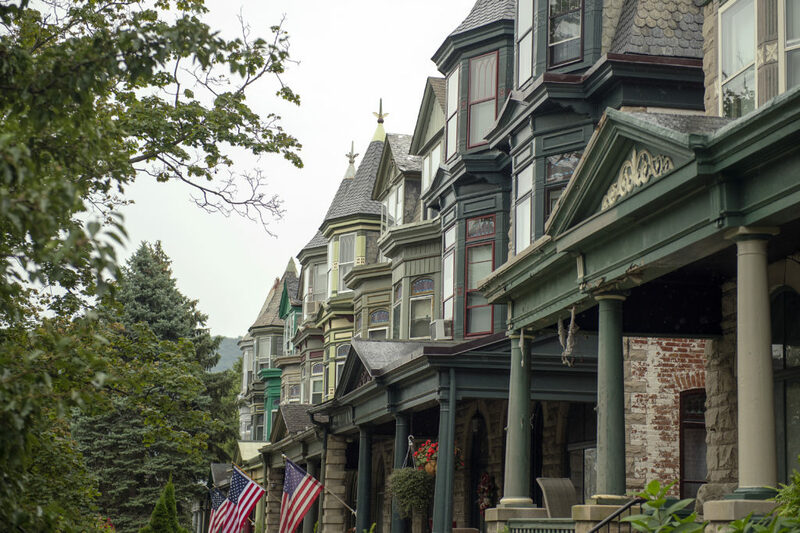 Centre Park Historic District Inc.
Michael Lauter, CPHD’s executive director, has lived on Centre Avenue since 1976, when he moved from Exeter Township just east of Reading. He and his wife Michelle renovated the four-unit apartment building to hold their living quarters and his photography studio. Michelle became active in the early days of the CPHD, serving as president of the board for several years. Later, Lauter also served on the board, then was elected president for two three-year terms. In 2002, when the all-volunteer organization decided it needed a paid part-time executive director, Lauter took the job. Since then he has overseen the purchase of CPHD’s headquarters through a HUD Community Development block grant bestowed by the City of Reading and funding from Preservation Pennsylvania. 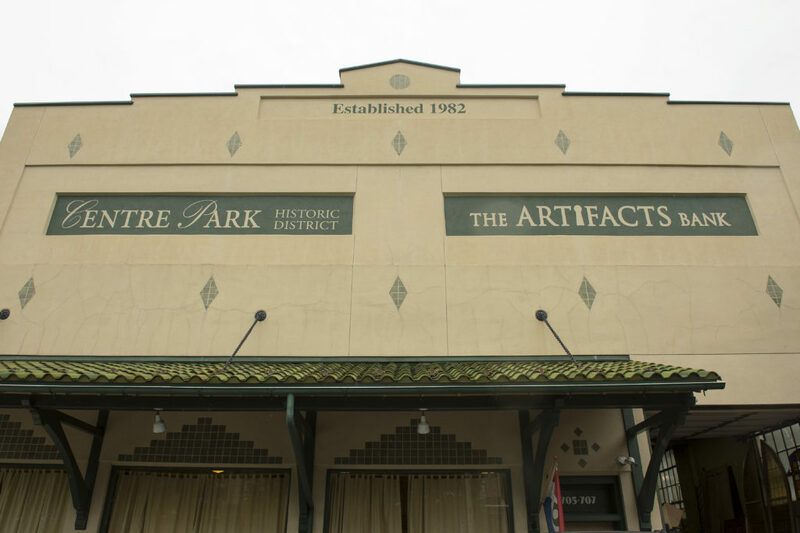 In addition to office and community meeting space, the restored building at 705-707 N. Fifth St. houses the district’s Artifacts Bank: a repository for architectural building materials salvaged from demolition, rehab or restoration projects. The organization sells them to homeowners who are restoring historic houses. 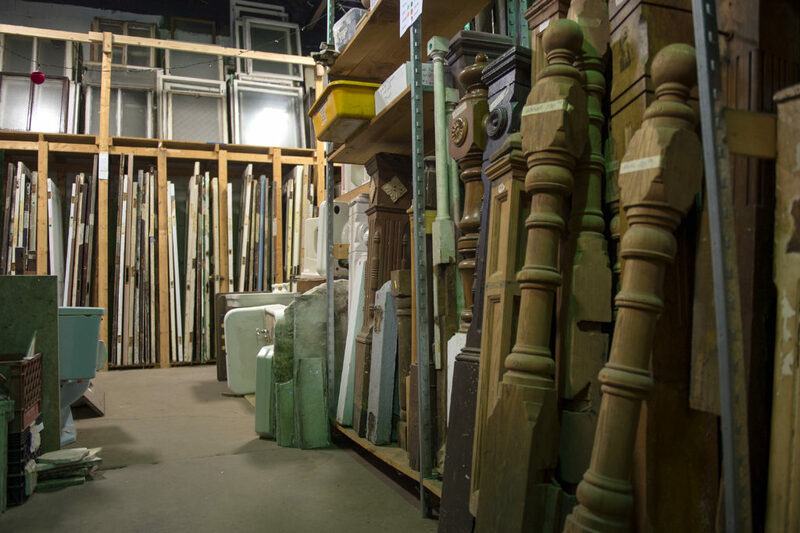 Customers can find anything from doorknobs and lighting fixtures to solid doors, mantels, banisters, stained glass, furniture and bathtubs. Profits from the store, operated by CPHD, go towards building maintenance and other expenses. 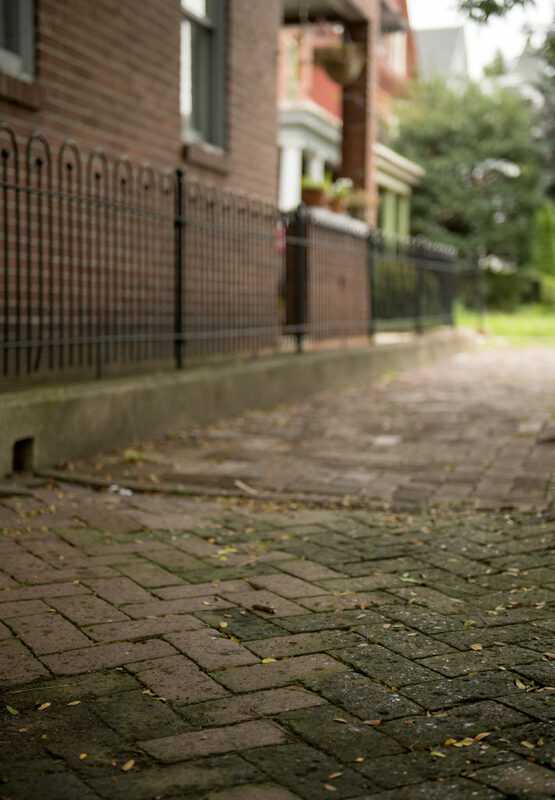 Last year, CPHD began issuing Façade Improvement Grants of up to $500 to local homeowners. 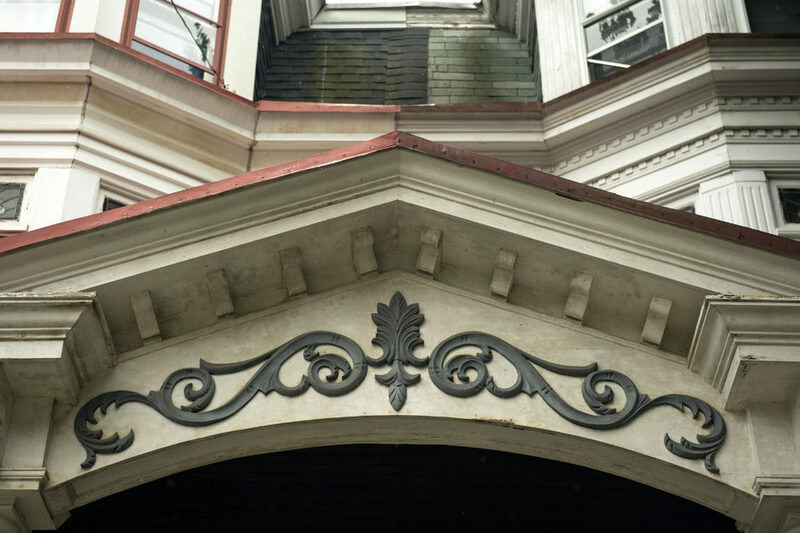 Because these houses are in a historic district, owners are required to keep the facades historically accurate. They must acquire a building permit and have the plans approved by the Historical Review Board. According to Lauter, CPHD is currently raising money to renovate Centre Park and other small, triangular green spaces in the district. 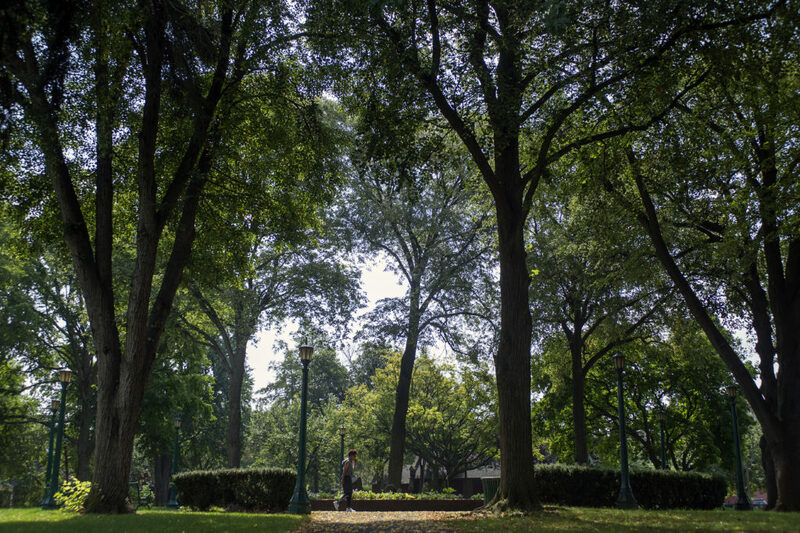 They are in the process of hiring an architectural landscape firm to create a master plan for the park; after that, they’ll seek funding to carry out the vision. In order to raise those funds and bring neighbors together, CPHD maintains an impressive calendar of events — at least one or two per month. In addition to the holiday celebrations, they have fastnacht (a Pennsylvania Dutch donut) sales, community interest meetings, flea markets and parties. Every holiday season, the organization holds a Christmas House Tour. The public is invited to visit decorated properties and get a glimpse of the beautiful interiors. And every June, CPHD hosts a Gourmet Garden Tour, in which homeowners open their gardens to the public. At each stop, visitors enjoy fare from local restaurants, caterers, wineries and breweries. Tickets for these events sell quickly and proceeds benefit the district. Originally from the Lehigh Valley, Miller moved to Centre Park from Flying Hills — a development of apartments and townhouses in rural Green Hills in southern Berks County — because he wanted an urban environment. He found an eight-bedroom duplex built for the daughters of prolific builder John R. Bechtel, who constructed hundreds of houses in the area around the turn of the century. The property housed a drapery business and boarding house for a time; its most recent owner had retained the original woodwork, but hadn’t updated for years. Miller saw what the house could become and began restoring it to its former glory. Each room on the first floor is fitted out with a different type of woodwork: rare curly cypress for the second parlor, golden oak for the hall, maple for the front room. There are three sets of pocket doors, an ornate staircase characteristic of the Bechtel homes, original tiles in the foyer, stained glass in the front-door transom, and original gaslight fixtures. Like many of his neighbors, Miller modernized all the electrical wiring and plumbing, as well as the kitchen and bathrooms; restored the porches and balcony; and furnished the home with antiques and artifacts connected to Reading’s past — like an old elevator floor dial indicator from the now-demolished Pomeroy’s department store, and bookcases from the original Reading Public Museum, when it was still located on Eighth Street. In the back, a deck overlooks a lush oasis full of flowers, trees and greenery — with no lawn to mow. Since he first came to the district, the demographics have changed. 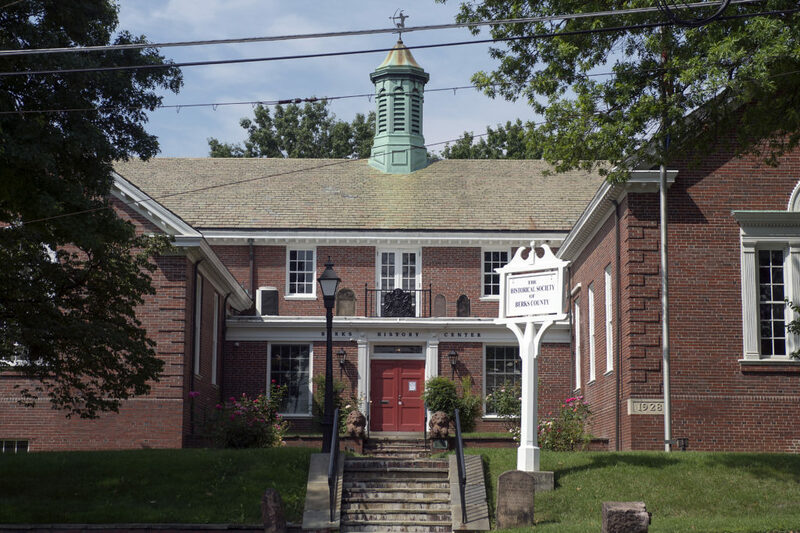 He pointed out that the district has at least seven houses of worship: Lutheran, Episcopal, Muslim, Roman Catholic, evangelical and others, with African-American and Hispanic congregations in two of them. 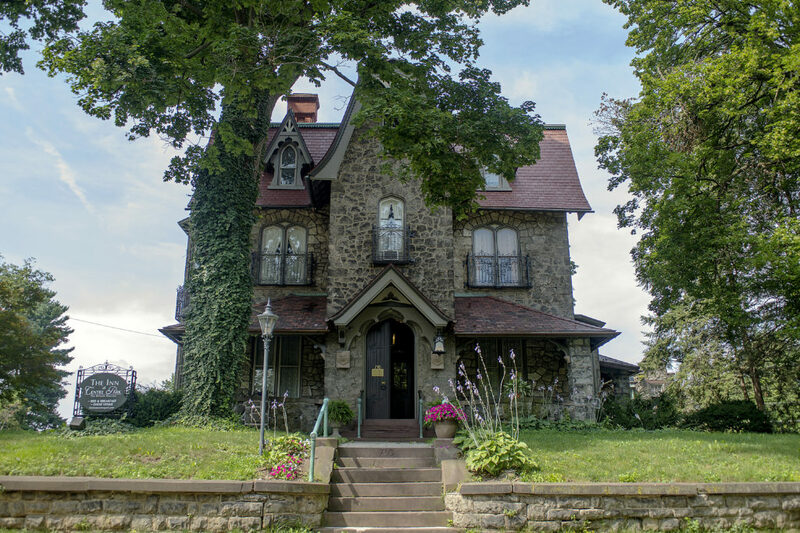 Wayne Roberts, 48, and his wife Kelli, 39, moved to Centre Park in August 2016 from their home in West Lawn — they bought a 1901 English Tudor-style home on Oley Street. Roberts, originally from Broomall, came to Berks County with West Chester-born Kelli about 13 years ago because he was working in King of Prussia and she was working in Harrisburg. “We liked the area and it was affordable,” he says while sitting in the Artifacts Bank, where he volunteers on Sundays. They both love historic homes and began to explore the city, attending both the Christmas House Tour and the Gourmet Garden Tour. They fell in love with the English Tudor, but it wasn’t for sale at that point. When it came on the market, they grabbed it. The Inn at Centre Park on Centre Ave. The neighborhood is also attracting young professionals. Elizabeth Edwards, 25, and her partner George Swope, 30, have lived in the district for about five years, first in an apartment on Fifth Street and, since 2015, in an 1890 house at Third and Douglass streets, right on the boundary of the district near the trendy Sofrito Gastro Pub. Swope was commuting from Harrisburg to Laureldale, just northeast of Reading, to work in visual merchandising at Boscov’s Department Stores. His drive took him through Centre Park. He fell in love with the architecture, and was soon renting an apartment in the district. When he and Edwards became a couple, she moved in. She also had a studio at GoggleWorks, a 145,000 square foot factory turned community arts center in Downtown Reading. Berks History Center on Centre Ave. When they bought their house, it needed some TLC. Virginia Schulze-Johnson, a retired music professor at Drew University in Madison, N.J. and an active professional flutist, moved to the district 10 years ago, and lives in a restored Victorian house on Third Street. The 4,500-square-foot home has six bedrooms and many handsome details. Her property has been part of both the Christmas House Tour and the Gourmet Garden Tour. Schulze-Johnson has formed a flute quartet, the Centre Park Flutes, that plays at various events around the city, including some in Centre Park. Miller said the district used to have more businesses, including physicians’ offices, dentists, drugstores and some ground-floor shops. There was a trend towards carving the large houses into apartments as investors from outside the area saw an opportunity to buy up properties at bargain prices. But now, thanks in part to re-zoning, that trend has reversed. “Most properties have converted back to residential-only, and a lot of the apartments have converted back to single-family, making the area less and less dense,” he says. Miller admits that the neighborhood can still be a tough sell to some, often due to misconceptions about Reading.